“Congresswoman Omar, now is the time to let your constituents and concerned Americans know whether you condemn or endorse these views delivered to your community from the pulpit of a Minneapolis mosque,” said Rabbi Abraham Cooper of the Simon Wiesenthal Center. Ilhan Omar speaking at a VoteRunLead training. Credit: Zoe Griffing Heller via Wikimedia Commons. 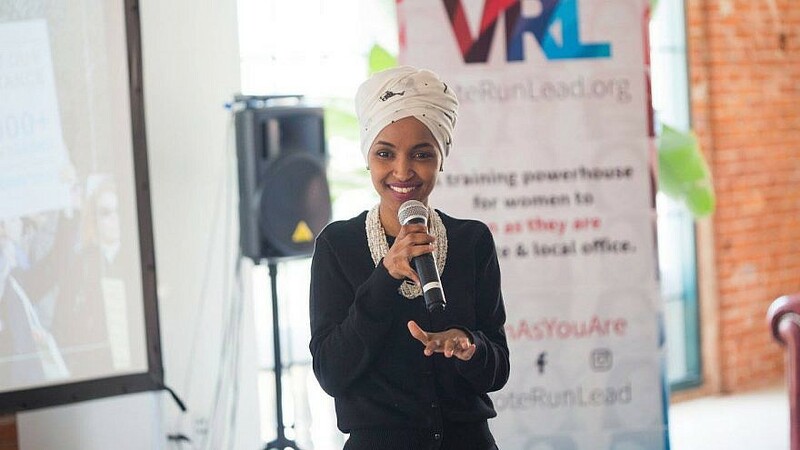 (March 24, 2019 / Jewish Journal) Simon Wiesenthal Center associate dean Rabbi Abraham Cooper called on Rep. Ilhan Omar (D-Minn.) to condemn an imam in her district who preached against a “Zio-Crusader agenda” in a recent sermon. The Middle East Media Research Institute (MEMRI) reported that Imam Shaaban Aboubadria said in a March 15 sermon at the Minneapolis Masjid Al-Huda Islamic Center that Egyptian President Abdel Fattah El-Sisi is “carrying the Zio-Crusader agenda.” The term “Zio” is an anti-Semitic slur that has been popularized by former Ku Klux Klan Grand Wizard David Duke. Omar will be speaking at a CAIR-Los Angeles banquet at the Woodland Hills Hilton hotel on March 23. The congresswoman’s office did not respond to the Journal’s requests for comment. Article originally posted at the Jewish Journal.